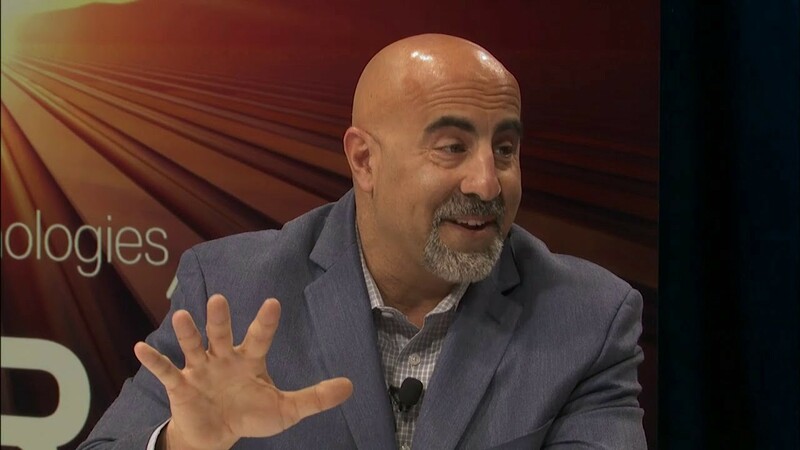 Recently I had the opportunity to interview Bob Venero, CEO & Founder, Future Tech Enterprise, Inc. for the ongoing series: CEOs Share 5 Ways to Improve Your Company’s Culture! A: Honesty, integrity, teamwork, and dedication, are the words and principles that Future Tech Enterprise, Inc. has built its reputation on. We know that companies are looking for partners that always go the extra mile. We are proud to say that Future Tech is one such company. Future Tech is also known for consistently delivering on time or, even before deadlines. When our clients’ have unexpected challenges or crisis situations, Future Tech is known for delivering rapid responses and solutions. These are big reasons why we are often chosen for complex projects and have such enviable, longstanding client partnerships. A: There is certainly a lot of discussion about working with and the millennial mindset. Obviously, we are at a very interesting time in the workforce with so many different generations working together, technology changing and. We have spoken often on this topic both internally and with our customers who want to be seen as an employer of choice for millennial . The advice that we give is focused on several. 1. Environment: it is vital that the millennials see an environment that they are familiar with and can thrive in. This is not only tied to the technology that is present and accessible but also the physical workspace and surrounding areas. 2. Blending of work/social activity. This group has grown up in the word of instant gratification related to data and digital social interaction, it is vital that companies keep in mind this data point and insure that policies and practices can support and even help promote this behavior. A: The major mistake that I see in this space is the desire to handle all aspects of the company vs bringing on skilled individuals that are key in helping drive the success in their specific skilled areas. We have seen this mentality force many companies to fail early on in their life. A: One Simple word that is very often overlooks and under supported “DELEGATE”. As a CEO, my best quality is that I know my limitations. Some things, I just don’t do as well as others. And, I am ok with that. I hire great people and let them focus on what they are best at. A: Since starting Future Tech Enterprise, Inc. (FTEI) in 1996, CEO and Founder, Bob Venero, has spearheaded the company’s growth into an award-winning, IT solutions provider with annual revenues of $200 million. Venero credits these five practices for helping to build Future Tech’s exceptional workplace culture. We have an open door policy to C-team leadership. We have a hiring philosophy that emphasizes skill set first . . . experience second. We support local schools and hospitals — funding/sponsorship, events, product donations. Employees see support for their communities. On a national level, we are a proud corporate sponsor of NCAA football’s Military Bowl. Catered lunches, highlighted by 15-year tradition of Pizza Fridays. Encourage people to eat together and talk about things beyond work. Flexible work schedules and comp plan options, enable employees to drive their own success. We also have multiple bonus incentives/options for meeting individual and team goals. A: When I first started Future Tech Enterprise in 1996, I was 29 years old and I used to think getting things done was just about working harder than anyone else. I focused on achieving results and less time on the process of how you get it done. Over the years, I’ve applied lessons from author John C. Maxwell’s best-selling books — The 21 Irrefutable Laws of Leadership and The 21 Indispensable Qualities of a Leader. Simply put — I learned how to work smarter not harder. A big part of working smarter is recognizing that you don’t need to do it alone. As a CEO, my best quality is that I know my limitations. Some things, I just don’t do as well as others. And, I am ok with that. I hire great people and let them focus on what they are best at. A: Communicate, Communicate, Communicate. We have seen that many times, simple elements of misunderstanding and too little communication on both sides, exacerbates or gives rise to bad situations that could have potentially been avoided. In the twenty plus years in business one item that is continuous is a lack of proper communication which generally leads to strained relationships between managers and employees. Generally, what we see is that when employees are unhappy with some aspect of their job they tend to keep it inside and let it fester this is a recipe for disaster not only for the employee but also for the employer. We can also see the same too with managing supervisors. The best approach is if an employee is unhappy they need to have a discussion with their management and if unsuccessful at that level they need to escalate up the chain to a proper resolve. They should document their communications efforts as well.